The group, established upon the close of the second World War by Jagdish and Kailash Mahindra and MG Muhammad, focuses on solutions that power mobility, drive rural prosperity, enhance urban lifestyles and increase business efficiency. 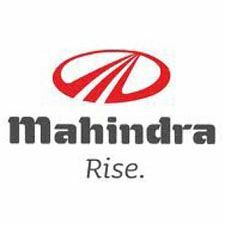 Now a well-respected multinational group based in Mumbai, India, Mahindra employs more than 200,000 people throughout the world. Mahindra enjoys a sales leadership in tractors, utility vehicles, information technology and vacation ownership. The group also maintains a strong presence in agribusiness, aerospace, components, consulting services, defence, energy, financial services, industrial equipment, logistics, real estate, retail, steel, commercial vehicles and two-wheeler industries. Mahindra has featured on the Forbes Global 2000 list and the Financial Times ‘Boldness in Business’ Award. This year the BV judging panel are delighted to recognise The Mahindra Group for its Outstanding Contribution to Economic Development in India.